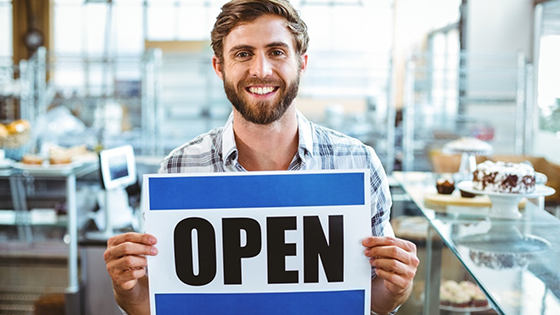 Your small Minnesota business offers fantastic products or services, but getting the word out requires a lot of resources. You can get more out of your marketing budget if you adopt an inbound strategy that attracts your ideal customers right to your website. Here are five tactics to implement as soon as possible. Most people will look up your Minnesota small business before they head to your store or call you for information. What does your website say about you? It can act as a marketing powerhouse, but you have to give it the resources it needs to accomplish this task. Start with quality content rather than filling up your pages with sales material. While it's perfectly fine to use a hard-selling technique on your product pages, your guides, blog posts and other content should focus on what value they're offering your prospective customers. Make sure to add lots of visuals to help people understand what you're saying and to make it more likely that they'll share this information on social networks. Your Minnesota customers would love to know about the small businesses in their neighborhoods, but they won't find you easily if you're trying to compete for national terms on the search engine. Consider using a keyword phrase that incorporates your city or neighborhood alongside generic terms. You'll enjoy the side benefit of ranking easier, since you're only competing with other Minnesota businesses. You can get a lot of eyes on your business if you look for Minnesota based personalities and companies that have made quite a splash on social media and local publications. For example, if you make or sell men's boots, you might want to pursue a partnership with Paul Buttenhoff on Instagram. He frequently posts about his fabulous footwear collection and has an audience of more than 50,000 people. Everyone loves freebies and a giveaway is an excellent way to attract customer interest. You don't necessarily have to give away products or services if your promotional budget doesn't support that. Instead, put together a guide that's relevant to your company. You can write guides on everything from how to effectively use your product category to a buyer's guide that teaches people how to evaluate their options when they want to buy something. Make sure that you use an email newsletter opt-in form for this process. You can collect email addresses and get permission to stay in contact with your audience. Over time, you build up a relationship and increase the trust that consumers have with your Minnesota small business. Even if you're working with local influencers, you still need your own social media presence. Go beyond simply sharing your content and products on your profiles. Look for people having conversations that relate to your product and service category. You can offer helpful advice, provide industry opinions and raise awareness of your brand. Marketing is one of the trickiest things to get right as a small business owner. 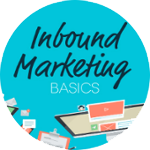 Use these inbound marketing strategies to make the most out of the resources you have available, whether you put together the most useful website in your city or you catch everyone's attention with a freebie that can't be missed.